A Bolton law firm that has been under fire from politicians, local media and other solicitors for receiving a business grant from its local council to help with the renovation of new offices has insisted that it did nothing wrong. 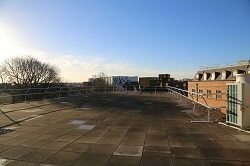 Well-known personal injury practice Asons has also provided pictoral evidence to show that claims it has used to money to create a games room and rooftop terrace are false. 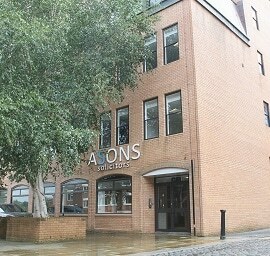 Asons has been the subject of sustained coverage in the Bolton News since it emerged that it received a £300,000 grant from the council under an ‘emergency powers procedure’, to assist with the development costs of its new office in the town – which is, by coincidence, the newspaper’s old office. The council said the decision was made to ensure that a large company remained in the town centre and that it has helped other businesses in the past. Opposition politicians and other law firms in the area have nonetheless questioned why a private law firm should receive help in this manner. 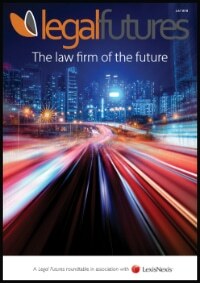 It would not be the first law firm to receive help of this nature to move offices, however. Last year, Carbon Law Partners received £325,000 in financing from the Welsh government to relocate to Cardiff. 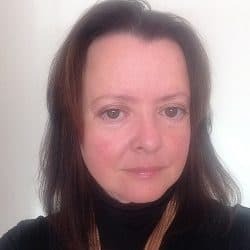 We reported last December that Asons had stopped the construction of a new purpose-built office in the wake of the personal injury reforms announced in last year’s Autumn Statement. It looked at property in Bury and Manchester, but found that the premises in Bolton town centre at 40 Churchgate were available at auction, which it said was the most attractive option if it was successful in a bid for a grant under a Bolton town centre business grant scheme. The statement said: “Asons took their chance and proceeded to run with it; £1.7m in funds were spent on the building, and this can be broken down as £1.1m for the purchase of the property and £600,000 in total on the refurbishment and interior. The firm said it expected to pay the council £460,000 in business rates over the next five years, with its employees putting “thousands of pounds into the Bolton economy as consumers every year”. Nearly half (43%) of its staff are Bolton residents, with the rest living nearby. “Asons’ business model includes providing a great working environment for our people that aids retention of talented employees and means we legitimately retain our Investors in People Gold status and are deserving of our previous award as a ‘Sunday Times 15th Best Company to Work For in the UK’. “We take good care of our people and they repay that into the community by feeding the homeless every week through our own Asons Foundation charity and supporting local charities such as Bolton Hospice. “Our competitors have been assuming the worst, based on limited information, and using social media and comments sections to employ dirty tactics. Asons has been the victim of a smear campaign. “Our office building does not have a games room or roof terrace. These were considered but have not been built. 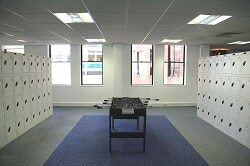 In common with many businesses, we have a few facilities that boost employee morale, such as a football table, spread around the building. “Asons is neither incredibly wealthy, nor in serious financial trouble or close to being dissolved. The personal attacks on Asons’ management are also unwarranted. Politics and racism have no place in business, and sadly too many people and small law firms are using this grant scheme award as an excuse to push their own agendas.